Argus, the Greek shipwright who built the famous ARGO that carried heroes in quest of the Golden Fleece, never could have imagined that he started something that would only end thousands of years in the future--and on Kastor, a planet-twin to the Earth, he had never even seen! 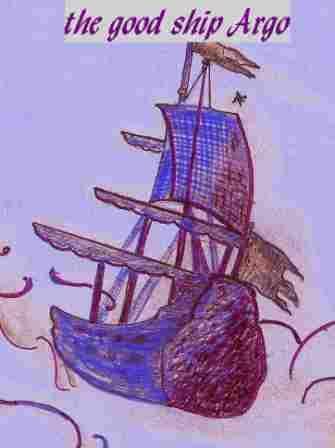 Yet he should have known something unusual was in the making when he took a beam of oak from Dodona for the ship, from a divine tree which could fortell the future. On a date buried in time, Captain Jason sent word throughout Greece calling anyone who wanted adventure and glory. As the account was later embellished, young men came as fast as they could, including Hercules the Titan, the Gemini Twins Kastor and Pollux, Hercules and Hylas his squire, the winged Titan Twins Zetas and Calais, Mopsos the Seer (or Prophet), two sons of the Titan Hermes by a female human, Typhys the Helmsman, Orpheus the Musician, Peleus the father of famous Achilles, Meleagros the son of a prince of Calydon in northwestern Greece, and many other of lustrous parentage and achievement. When all were counted, there were fifty Argonauts, or Sailors of Argo. In truth, none of the Titans and Gemini took part, but as the epic voyage was related afterwards throughout Greece from generation to generation, the human sailors--the Argonauts--took on more and more "divine" characteristics, even to a change of many names. Since no one had an official crew list, it was quite easy to tamper with and no one was the wiser. In the ancient Greek memory of it, the Golden Fleece was the golden pelt of a winged ram belonging to the Sun-Titan Hyperion. The ARGO set sail, traditionally, a generation before the Trojan War, which occurred about 1194-1193 B.C., and even as early as 1250. 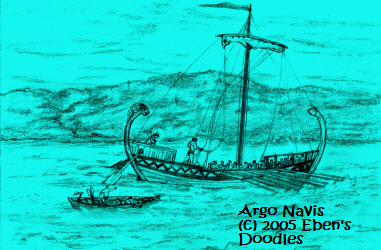 The date for the Argo's sailing may never be pinned down, but the Trojan War connection is quite clear. Peleus, an Argonaut, fathered Achilles, the greatest Greek hero of the war. With the fall a Troy a generation away, the ARGO story goes that Peleus usurped the Thessalian kingdom of Iolcus in northern Greece. 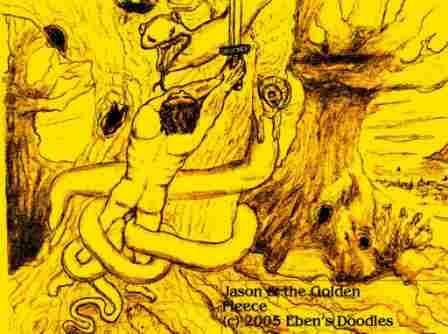 The youthful hero Jason, rightful heir to the throne, agrees to fetch the Golden Fleece, if Peleus will surrender the sovereignty to Jason. Peleus, however, has other plans. He agrees to the legitimacy of Jason's claim, but has no intention of ever surrendering the throne, not if he can distract the claimant and send him on a trip from which he may never return. After this cunning move, it is hard to imagine how Peleus would have ventured his life by sailing on the same boat with is youthful rival. The long, perilous voyage from Iolcus (Iolkos on Earth II) to Colchis for the Golden Fleece proved just what Peleus hoped it woud be, the most farflung and dangerous obstacle course in history. The Fifty first encounter a group of women on Lemnos who have murdered all their men for proving unfaithful. Surviving Lemnos, after additional adventures in the northern Aegean Sea, they are confronted by the Symplegades, clashing rocks in the Dardenelles Strait. Other accounts, though, place them at the end of the strait, at the entrance to the Black Sea. Columba, the ship's dove given by Athena, an Olympian "god," guides the men through with only the loss of Columba's tail feathers and the lion's head ornament on the ship's stern. Reaching the Sea of Marmara, they pass on to the Black Sea and are challenged by further tests of their skill, strength, and courage. Seizing the Golden Fleece after a series of exploits in which the Colchian king's daughter Medea, a beautiful and powerful witch, becomes involved, the Argonauts barely escape the wrath of Aietes, the Colchian king. A storm, however, blows them off course. Four varying accounts trace the ARGO as she wanders, according to one authority, up the Danube River to the North Sea and around the world. It would be a happy ending if Captain Jason, according to some, actually reached Iolcus and ascended his legitimate royal throne--and remained true to his wife and lover, Princess Medea, which many poets say he did not. In any case, a happy ending was not to be. It is possible he did not reach Iolcus his native city but was lost, with all aboard, in one of two 'triangles of doom,' the Bermuda or Devil's Triangle between Florida, Bermuda and Puerto Rico, and the Dragon's Triangle between western Japan, the Bonin Islands, Guam, and Taiwan. Happy ending or not, the chief source of Jason and the Argonauts' voyage to unknown lands, islands, and seas is still the ARGONAUTICA, a great epic poem by Apollonius of Rhodes. This poem was written many centuries after the event and included angelic beings who could not have taken part, since they were either confined in the Underworld or chose not to disobey the quarantine placed on Earth after the fall of Atlantis. Evenso, the exploits of the Argonauts constitute the most famous and publicized voyage of human history, so that the people of Colchis, modern Georgia in the Caucasus, still hold Princess Medea to be their greatest heroine. It is not surprising, then, that a great Dutch-American scientist, depicted in the chronicles, chose this voyage as his model for a venture even more perilous, as it involved the survival of his world as humans know it. He did not fabricate a ship in virtual reality to play the Wargame he devised (though someone else would do that for him later), but he recruited the Earth itself as a second ARGO, the greatest ever known. The name ARGO, connected always with the glamor of the Golden Fleece and the first heroes who sought it, has understandably been a popular choice for seagoing craft since Argu's time before the 12th century B.C. in the account of Earth's twin planet, the planet becomes a starship, powered by quark engines, and launches forth into deep space in order to re-locate in another galaxy where it, presumably, will find refuge. This voyage is made possible by Dr. Pikkard, a Dutch-American scientist and explorer and inventor and many other things. But the thing that initiates the voyage is the com,puter programmer that Dr. Pikkard thoughtfully installed (since he knew he woujld not be alive to see his project and Wargame through to its conclusion). The supercomputer he uses to create the Wargame and his compuer programmer, Wally, is the size of a teacup. Nevertheless, built by an advanced 22nd Century civilization, it is mighty. The 18th Century English poet William Blake perceived infinity in a flower. The computerized teacup and Wally as its NTM (non-tethered-mode) pallidin, prove a real match for the Opposing Player--the unknow destroyer, originally, that has attacked Earth II and its Solar System. There is another ship of this same name. 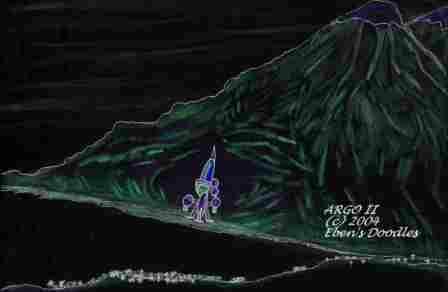 It is ARGO IIb, an interstellar spaceship hidden away by the world ruler, Dr. Chillingsworth, just in case he needed a quick getaway (dictators must always think ahead to getaways). His plans are foiled lwhen his chief enemy, the terroristic Ibsenites, take command of the hidden spaceport in Minnesota. In 2170 the Ibsenite crew and a number of refugees blast off to secure Dr. Chillingsworth's hoard of gold in a star system located near the heart of the Milky Way Galaxy (but not close enough to the center to be incinerated or sucked into the Black Hole). Unfortunately, the Black Hole has moved, and is moving. They encountered it, and their flight plan is wreckied irredeemably. They converge in a kind of glancing blow, that isn't sufficient to keep them indefinitely. By the time the Black Hole "coughs" them out, things are much changed in the Universe. They can never return to the same Earh they left, for it has changed too much to even be recognizable. When they land back on Earth, they find to their horror unknown events have made it impossible for them to remain. They must relocate elsewhere, and they settle in Alpha Centauri. Later, the planet of second choice and the human colony in exile will ecome a casualty of a war they did not even know is beng wage. When they pass by Earth II for a second time, fleeing the universal destruction of the Alien Entity, they find the biota are even more deranged and the radioactivity so high they must forsake Earth once again. The second expedition from Alpha Centauri Earth-Colony occurs in the time of Quinn the One-Legged (aka, Bluebird, or Star Boy), and for that reason the starship is named ARGO II instead of ARGO III, which is more technically true a name. Society exists and is found not to be so barbaric as on the previous expedition by the Alpha Centaurii. Human beings have advance more or less to 19th century levels, or so it appears. Asia is gone, Africa non-existent along with Europe, but a new Atlantean continent has arisen from the sea floor to take their places. To all appearance, the substitution of this new continent for the missing ones has gone rather satisfactorily. Many important, classical civilizations have risen and passed, but humanity has progressed, particularly since the time of a certain Joseph the Second, living in the south part of the new continent. Until that time, humanity had not progressed, and society had gone backwards. All that was seemingly turned around by this one man's life. It is just a matter of time before Earth is civilized enough for them to consider re-colonizing the Earth. They find, however, the North American Indians so entrenched that there will obviously be no peaceful re-settlement back on Earth. They would be taken as intruders. This is highly disappointing to the would-be residents, these wandering Alpha Centaurii particularly since they have spent thousands of years in an extensive search for not only the missing Earth (which had been somehow removed from its former location in the Milky Way Galaxy and Local Group of Galaxies), but a home they could again call their own. Gathering some artifacts (the Sulkowsky painted cowhides and writings) for analysis and addition to their database for Earth, the dejected colonists return to their base colony, only to discover that the artifacts contain messages of a revolutionary nature that will threaten to destroy their community's fragile dyarchy of Mechanist Secularists and Religious Design Creationists. This ARGO involves contact with Earth I in the 21st Century. 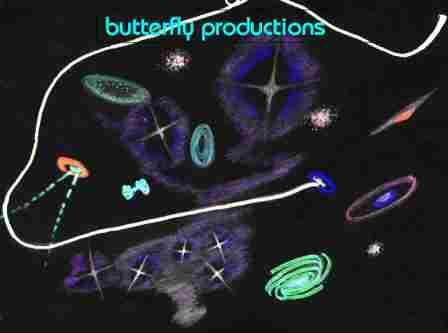 The hapless super-advanced race of Z-ImZcy, who sent out warning drones in the wake of the red Retro Star, are extinct, but one last drone encounters Earth I after the Twin Universes of matter and anti-matter are, though a bridge between Earth I and II, reunited not long after the beginning of the Third Millennium. 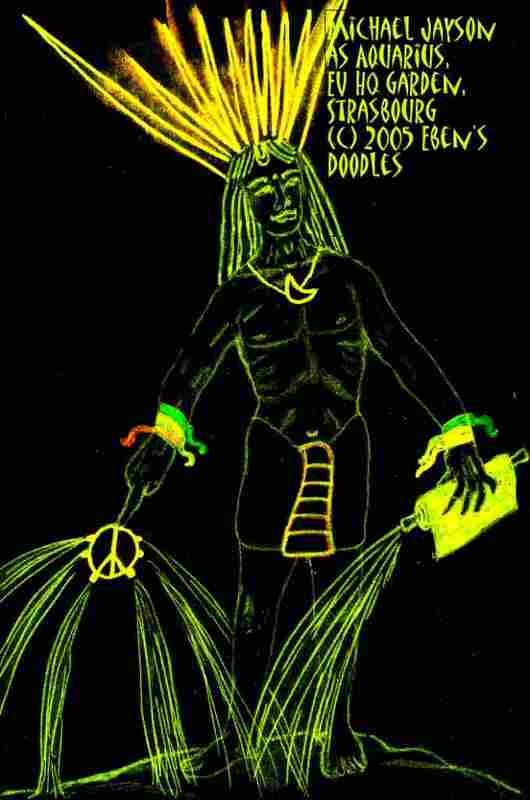 Theoretically, this should result in mutual annihilation, but a cough, at the right time, sends the miniscule drone back out the Black Hole of the throat of the world unisex rocker turned International Peace Dove, Michael Jason, an expatriate American. He was his own most devoted fan, and as the rotated prime minister and chief envoy of the European World Union, he liked statues of himself to proclaim he was ushering in the brave new world of the Age of Aquarius. This Argo is a Virtual Reality Game for fifty cybernauts (or virtual reality champions) called "Quest of the Golden Fleece." 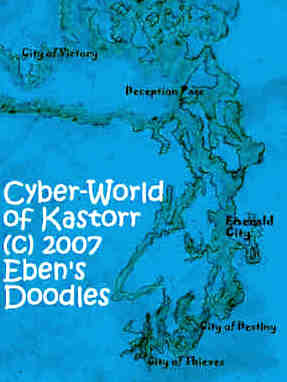 It is played in a cyber-world of Kastorr, named after Castor, or Kastor, the weaker twin brother of the mighty Pollux, both of whom are paired forever in the skies as a Constellation. Created by Dr. Pikkard's Cray programmer, Wally, it is the means for his retirement, or so he first planned it. He starts with some old perimeters with which he is comfortable (a retirement cruise ought to be comfortable, he reasons). After a long, active career in the Wargame of Dr. Pikkard, Wally has to think about taking it easier, and he settles on a game of his own: a voyage of the classical, famous Argo that takes place at a late date, circa ANNO STELLAE 10,999. He recruits his old mentor and creator-programmer, Dr. Pikkard, as well as other players, from the genotypes of his genotype bank, Tutasix. Fortunately, he draws his last genotype just before the facility's Cray system crashes due to thousands of years of neglect after it was abandoned in the 22nd Century.